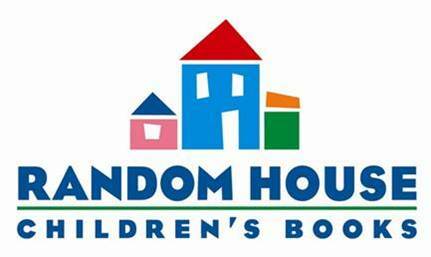 In case some of you don't follow my regular blogs: I have two new book contracts, illustrating a picture book series for Random House Children's Books! Details here. This means that between now and 2016, I'll be working on SIX new picture books projects -- one of which I am writing as well as illustrating (for Simon & Schuster Books For Young Readers). 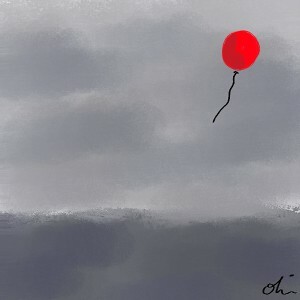 I so wish I could take some of the goodstuff now and spread it out a bit over the many years I was getting nothing but rejections, or at least send an earlier message to my earlier self and say, "Don't lose hope." And I remain immensely grateful to my friend Beckett Gladney artbeco for convincing me to enter that first portfolio showcase back in 2010. Thanks to Phil Mills phillip2637 for the video above, and to Karen Linsley for permission for posting this video. The song, "I Am Stardust" was written by our friend Lloyd Landa, who died in late 2000. You can read the lyrics to "I Am Stardust" on the Pegasus Awards site; it was nominated for Best Classic Filk Song in 2010. This is a video taken by Phil Mills of Urban Tapestry singing "I Am StarDust" by Lloyd Landa at our 20th anniversary concert at FilKONtario last weekend. Debbie, Jodi and I love this song dearly and once Lloyd was gone from us too soon, it's always been an honour that his music partner Karen Linsley, who first sang the song with Lloyd, has encouraged us to continue singing it. I'm glad the filk community has taken "I Am Stardust" to their hearts and one of my favorite things about the video is listening to the audience singing along in the background. For those who have arrived at this post from elsewhere and aren't familiar with filk, here's my own take on the topic: What Is Filk? I'm pleased to announce that I'm going to be illustrating another Michael Ian Black story, yay! Apparently Michael wrote the story with me in mind as the illustrator. :-) Entertainment Weekly broke the story today, and I also blogged about the news. Since my mother died and especially since my brother and his wife died, Christmas has never been the greatest time of the year for me. The insistent Christmas carols piped into shopping malls, the glitter and party atmosphere, the increased barrage of BUYBUYBUY...I get cranky, resentful, impatient of the crowds. Deep down, I know that part of this Scroogelike attitude is because of the ache left behind by personal losses, bittersweet memories of past holiday seasons, but this knowledge doesn't help. Read the rest on Blatherings. I'm pleased to announce that I'm going to be illustrating the new RUBY ROSE series by Rob Sanders for Harpercollins. The first is titled RUBY ROSE ON HER TOES, and is tentatively scheduled to come out in 2014. I'm feeling so grateful to the people who have supported and encouraged me during my publication journey (like Beckett Gladney, who first convinced me to enter that illustration portfolio showcase back in 2010). I'll be writing more about many of them but right now, I'd like to once again thank Justin Chanda and Simon & Schuster Books For Young Readers. Justin was the first editor/publisher to believe in me enough to offer me a book contract (I'M BORED), and other exciting opportunities have come my way as a result. You ca read what the press has been saying about I'M BORED. I'M BORED reviewed in The New York Times today, yayy! You can read the New York Times I'M BORED review online. Yayyy! 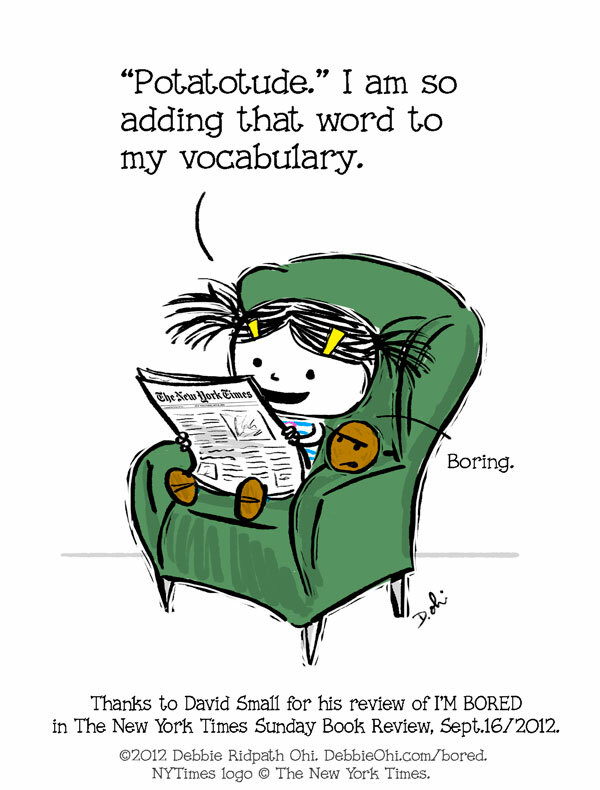 I'M BORED launches in bookstores TODAY!! Can't believe the day is finally here! It's been two years since a rejection turned into a book contract (thanks, artbeco!) 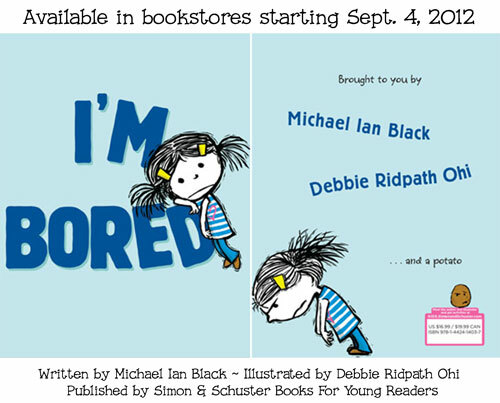 with Simon & Schuster Books For Young Readers to illustrate Michael Ian Black's I'M BORED. You can find more info about the book, related resources for teachers and librarians, photos, sketches of the book in progress, tips for young writers and illustrators, an I'M BORED In The Wild photo challenge, comics and much more: I'M BORED Scrapbook. Thanks SOOOO much to my friend Errol Elumir and his 7-year-old daughter Zoe for making the video above possible. I'M BORED launches in 11 days, woohooo!!!!! You can find lyrics/chords to the song we co-wrote plus behind-the-scenes photos and info about how the trailer was made in the I'm Bored Scrapbook. 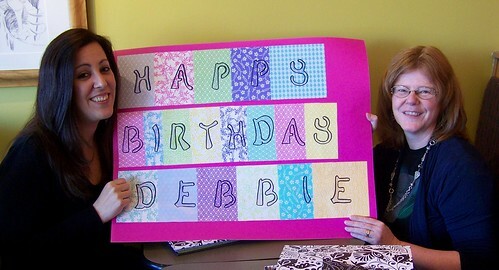 Thanks especially to Allison and Jodi for organizing the gift! 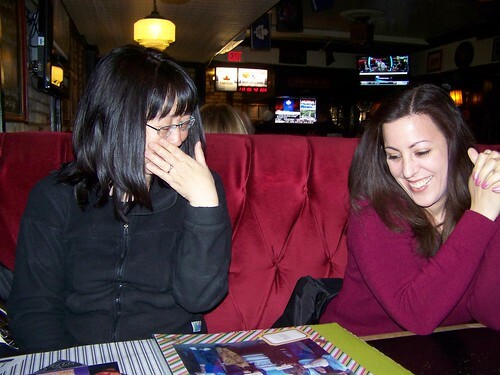 You can see more photos of me looking through the scrapbook in Allison's Flickr set and read her LJ post. Can finally share my good news: two book contracts with Simon & Schuster Books For Young Readers!